The debate continues to rage on between smokers and non-smokers, as more Hotel chain go, completely smoke-free with guests often caught in the middle. In January of 2006, Westin became the first hotel chain to ban smoking at all 77 locations in the United States, Canada and the Caribbean. Marriott went 100 % smoke free in all their United States and Canada hotels in October 2006. This is the largest move in the hotel industry to date, affecting over 400,000 guest rooms. Starwood has expanded its smoke-free initiative to all Sheraton and Four Points by Sheraton and Westin hotels in the United States and Canada..
Why Are Hotels Going Smoke-Free? In response to new information from the Surgeon General over the past few years regarding the dangers of secondhand smoke, requests for non-smoking guest rooms has been on the rise. Many smokers are also in the habit of requesting non-smoking rooms, increasing the demand. Marriott already had 90 percent of its guest rooms designated as non-smoking before the ban was announced; Westin had 92 percent. For hotels, the benefits outweigh the possible loss of bookings from smoking guests. Smoking rooms incurred more costs for cleaning and repairs of burned furniture and carpeting. Also, having all rooms designated as non-smoking simplifies tracking available room inventory. Will All Hotels Go Smoke-Free? Westin and Marriott remain the only two chains that have implemented a company-wide smoking ban, along with dozens of independent hotels. 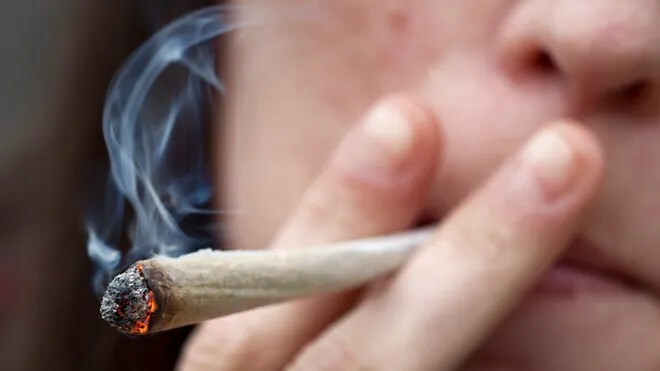 Other hotel companies, including Hilton, Intercontinental Hotel Group and Starwood (Westin’s parent company) have said they will continue to offer smoking rooms as an option to guests. Even so, options for smokers are shrinking due to market demand. For instance, Hilton already sets aside only 10 percent of guest rooms for smokers. First things first, if you enjoy smoking, don’t choose a non smoking hotel. Fees for lighting up range from $200 to $375. Some hotels use electronic devices others rely on the old tried and true . (the nose) . Giving a choice, some front desk employees would prefer a mellowed Marijuana smoker, to an out of control drunk. However,there are others employees who may call the police , in fact lighting up your favorite form of Cannabis could land you in jail . Marijuana, has a distinct odor, it draws attention to passers by. Opening a window will simply distribute the smell throughout the hotel. Placing a towel under the door could cause a reaction in the sensor in the room and may cause the smoke detector to go off. It often comes down to the hotel clerk or management and their position on marijuana . One manager at a Yuba City hotel has instructed his staff to call the police if they suspect someone in a guest room of smoking marijuana. “Last summer man checked in on one of those cheap, Priceline rates, he and whole family were smoking Marijuana in the room, even the boy who couldn’t be more than 15 or 16 was caught smoking in the hallway in his underwear by one of the housekeepers. When he got his bill, he went crazy saying he didn’t smoke. The assistant manager called the police and he was arrested, I think he had a lot more of that stuff in the room. Many non smokers are extremely sensitive to smoke and will call the front desk to report someone smoking..
One couple took matters into their own hands. A couple called to complain about room next door,her husband has emphysema and they could smell smoke coming from the room and wanting something done! The main console buzzes-someone has called 911. The front desk calls the room, there’s no answer. Security is sent to the room-from the elevator he can hear yelling. Security radio’s down to the front desk and says people are fighting in the hall. When one of the staff arrives, he sees two couples arguing in the hallway. One man had two cigarettes in his mouth. (we guess making a point) his wife is yelling at him demanding he return to the room, the husband was trying to hold his wife back as she is yelling at the man. Meanwhile the ruckus was disturbing other guest who were now calling the front desk. The Police never showed.. And the offending guest left the hotel calling the woman a lunatic and vowing to sue Marriott “saying they had rights as smokers and was going to sue Marriott”. While they did not charge him for the room, they did charge him $250 for smoking. This entry was posted in INTERNATIONAL, NATIONAL, NEWS SACRATOMATOVILLE and tagged Cannabis, Chronic, drug use, Hilton Hotels, Hotel Confidental, Marijuana Smoking, Marriott Corp, Medical Marijuana, smoking, Smoking Policy, Weed, Westin Hotels, Yuba City. Bookmark the permalink. ← OOOoo Say can U Remember? Just put the lock on the door and if the cops come flush your stash, Tobacco laws do not apply to weed, thats why they have places like vapor central in Toronto where you can light up in doors, smoking laws apply to tobacco. So I am going to westin on new years and plan to light up probably just in the washroom with the fan on. If they decide to call the cops and the cops actually show up on new years for the smell of pot in Toronto…..somethings wrong with the system, especially with all the drunk drivers and abusive drinkers going to be spilling out of government night club 1 block away but whatever.